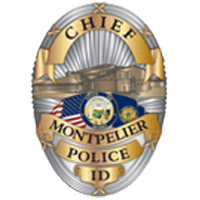 The Montpelier Police Department has joined 1000’s of Public Safety Agencies around the U.S. that have embraced Nixle as a Community Information Service. Nixle launched its service in March and is currently used in 49 states and major cities including Chicago, Baltimore, Dallas, Fort Worth, Scottsdale, Los Angeles, Minneapolis and Philadelphia. In addition to law enforcement agencies and municipalities, Nixle’s technology is also currently being explored in international markets for public safety and in preparation for Swine Flu. Nixle is the first secure and identity-certified communication service that allows local, county and state law enforcement and government agencies to connect with local residents over cell phone, email and web. Information is delivered in real time to geographically targeted consumers. Nixle’s primary publishers are local public safety agencies, municipal governments, schools and affiliated municipal agencies (e.g., emergency management, local government, public works, hospitals and recreation departments.) Nixle was founded in 2007 by Craig Mitnick and Firas Emachah. Nixle has partnered with NLETS the National Law Enforcement Telecommunications System; a state-of-the-art secure information sharing system for state and local law enforcement agencies. It provides electronic messaging to allow information exchange between state, local, and federal agencies and support services to justice-related computer programs. The network is operated by NLETS, a non-profit corporation owned and operation by the states and funded solely by fees for service. The network operates primarily through a secure private network through which each state has an interface to the network, and all agencies within the state operate through this portal. The federal and international components operate very similarly. Users include all U.S. states and territories, Federal agencies with a justice mission, and certain international agencies. The primary operational site for the network is housed in Arizona, with a secure backup site located with the Idaho State Police in the Northwest U.S. for full continuity of operations in less than thirty minutes. Information exchange is voluntary and includes everything from motor vehicle registrations, driver’s data, Interpol warrants, Canadian ‘Hot File’ records, and U.S. Citizenship and Immigration Services (USCIS) databases, to state criminal history records. Nearly 90 million messages are sent each month. What can Nixle do for you? Nixle is a free service that allows you to receive trusted, up-to-the-minute, neighborhood information for where you live, work, visit – or for where your family and friends are located throughout the country. 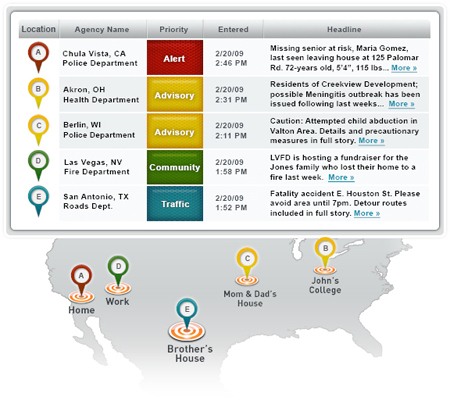 You choose the information you want, for the locations you want, from urgent public safety alerts to less time sensitive advisories and community information. You choose how you want to receive the information, whether it is over your cell phone by text message, by email, or over the web. You stay connected to what is happening in the communities and the locations that are relevant to you! Registration is FREE, SIMPLE, and SECURE.